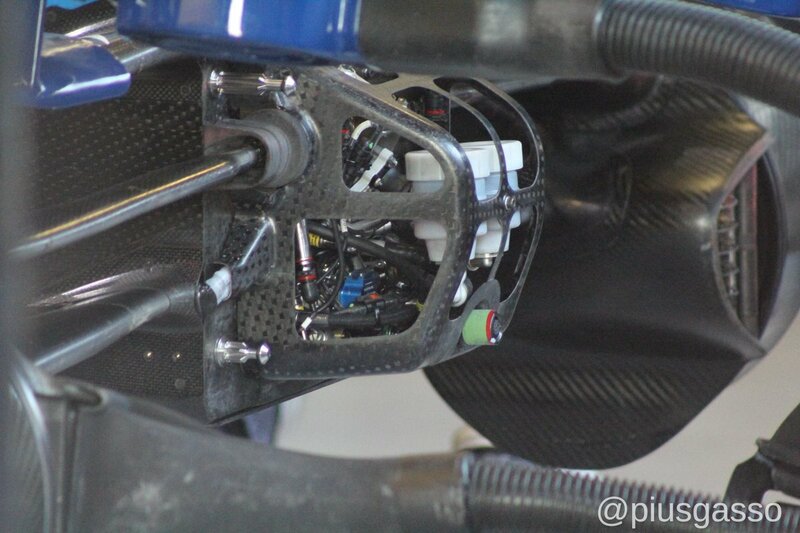 Williams F1 - 2nd Test. 2019. Good to see you posting again and well said. Hey phat are you talking to shriekback??? Who is shriekback??? Did they used to post under a different name??? Yes, I was Whitey and if it's who I think it is I owe him an apology, he was right and I was wrong. I am not sure what this is about. I've never posted here under a different name. I understand the calls to curb the negativity prevalent among many posters, including myself. I don't agree, but I know that reading negative stuff is exhausting. Especially for the glass-half-full guys. I, for one, am not opposed to fans being critical of how their favorite team goes about its business. If we are invited to care, we're going to care about failures as well as successes, and we're likely to criticize the former as we anticipate and celebrate the latter. I think everyone involved in the team expects and appreciates this, and wouldn't wish it any other way. I just think we need to do better to make sure that when we criticize the team we do so in fair and reasonable ways, informed by an understanding of what we are up against. To be a Williams fan in 2019 is to root for a team that is trying to do things in a way that makes ultimate success very, very difficult to achieve. Were they to somehow rise to the top of the sport again--competing with massively over-funded, spoiled for resources behemoths like the Mercedes and Ferrari teams--both bearing the name and with the backing of a huge global brand and with many, many hundreds more people in them, all clever as hell and also working their tails off, no less--it would be a story truly for the ages. My point is that if one finds that prospect--of taking on a really, really difficult challenge against really long odds, with the likelihood of winning being quite remote (certainly in the short term)--to be one unappealing to follow and support, that person should probably move on. In any case, using it as an excuse to vent other frustrations of life by unfairly insulting the people willing to take on such a challenge, as if only their lack of competence could be standing between them and winning it all every year, is pretty annoying. Can the team improve? Of course. Will we see a better car in Melbourne? Definitely. Will it be better than the next best team? I doubt it. Maybe in time. Cheers to all and let's hope for a good first race. At least seeing a car running without sacrifices. I don't see how Robert in any way addressed such a prima facia silly hope -- "magic" bullet? The very term suggests that it is not worth taking seriously and I can't imagine Robert ever even began to entertain such an idea. One might as well put all of one's savings into the purchase of lottery tickets. Yes, people do actually win the lottery, and every couple of decades or so someone comes up with a double-diffuser or active suspension and rises from obscurity to take an unanticipated championship. If your interest depends on that occurring to you or your chosen team, however, odds are you are going to be bored and disappointed. Again if we are not competitive it does not hold my interest. Ok, fair enough. It's good to be honest with yourself. You root for front-runners only. That's extremely unlikely to be Williams this year. Let me suggest you get behind Mercedes, Ferrari, or (if you are even a little bit of a gambler) Red Bull instead. That, or pick another sport entirely. Perhaps some years down the road, Williams will again justify your interest and you can rejoin the discussion as a genuine--albeit fair-weather--supporter. We need a proven aero man or a new wizz kid on the block. Formula 1 is an incredibly competitive endeavor and besting any competitor at all is a massive achievement. If the best efforts of a team of incredibly talented and devoted people engaged in that effort doesn't capture your interest, there is a world full of other ways to pass your short time on the planet. For me, at least, following, supporting, and delighting in whatever success might come to one of the few remaining properly independent old-school F1 teams in this era of massive trans-national corporate involvement in the sport, justifies and richly rewards my attention. I can't wait for the real competition to start. As long as Williams is able to get after it and race, either at the back or at the front, I'll be along for the ride and having a great time. Geez what a load of crap. You should be a politician talking all this drivel. Edited 1 time(s). Last edit at 02/03/2019 19:11 by GPL. Yes, well I guess reading can be a challenge for some. Try reading it several times, perhaps slowly and out loud to yourself, looking up whatever words you are unfamiliar with. That often aids comprehension. If that fails, ask someone around you to read it and to explain it to you. I'm from Newport so I know all about your lows! Just kidding, it's a funny old game. Such a feisty forum recently. I'm personally so excited for Australia. The battle upfront looks great and Williams can only improve after a shocking start to the season. Not only that but the midfield is so tight. a guy I know suggests that 3 tenths blankets 5 teams. That's what dreams are made of. This season is going to be brilliant. They were saying the same about 2010 season. The final test day had 8 teams within 0.5 secs on their quali sims and people were excited about how close it was going to be. Even though the title fight was brilliant that year (but mainly due to Vettel having lost much more points due to reliability than anyone else), the midfield was not anywhere near as close and top3 teams had much more comfortable gap to the rest of the grid, barring the odd race where Rosberg or Kubica was in the mix, than the year before. In two weeks from now it is all done and dusted. The season has started by then and we will know how reality stands (Ferrari, Mercedes and Red Bull in that order). Yea the top 3 out front could be vintage. The mid field sparks could fly this year. up with some answers but i doubt we will have new bits by then to be honest. Looks like they need all there spare time just to build the second car and make some spare parts first. Edited 1 time(s). Last edit at 03/03/2019 12:03 by GPL. ihme gone quiet??? Where is ihme???
. . . I doubt we will have new bits by then to be honest. Sure. The time to Oz is very short . . . and they have to ship stuff to the other side of the world. Very few real working days. 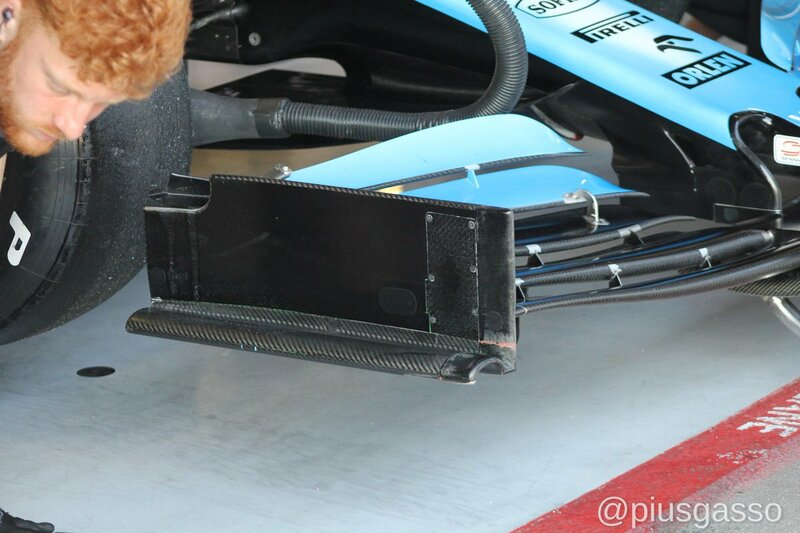 I was just wondering that over the 2 test periods did anyone notice the other 9 teams do so much flow viz testing. 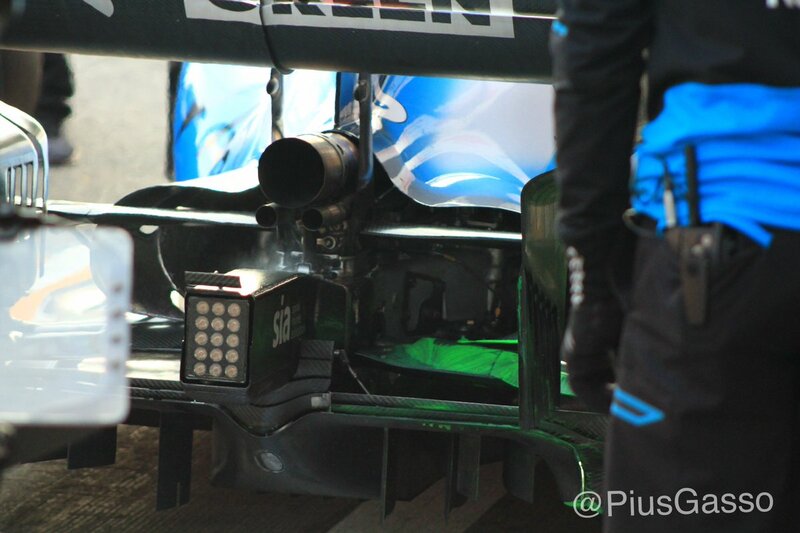 I really did not take much notice at all of all the photo shots of the other teams machines. I was keeping a close eye on our racer. Yes, this is what we all need to hope for. If it's true, regardless of where the team is at the start, we can at least look forward to improvements through the season and the prospect of catching up and passing others--racing, that is. Edited 1 time(s). Last edit at 03/03/2019 20:57 by ihme. Kubica was particularly frustrated by how his Barcelona programme ended as a lack of spare parts held Williams back on the final day. This came as a disappointment after he'd been boosted by a strong stint on Wednesday, which he described as "one of my best runs in a Williams car". "My last real run when I feel the car well was [Wednesday] afternoon, first run, when the car did things which I was surprised [by], a really nice surprise. So, yes, frustrated that he could not see if there were even more really nice surprises to be discovered in the car and to further explore how far he could work with them, but it seems that Robert's opinion of the car as a basic platform is pretty high. I'll take his highly informed opinion of the potential of the car over a journalist observer's like Ben Anderson's every time. Which in turn would mean that when Kubica could've gone mental,he would've dipped into the 1.17s. So all current analyses on Williams' performance are useless.